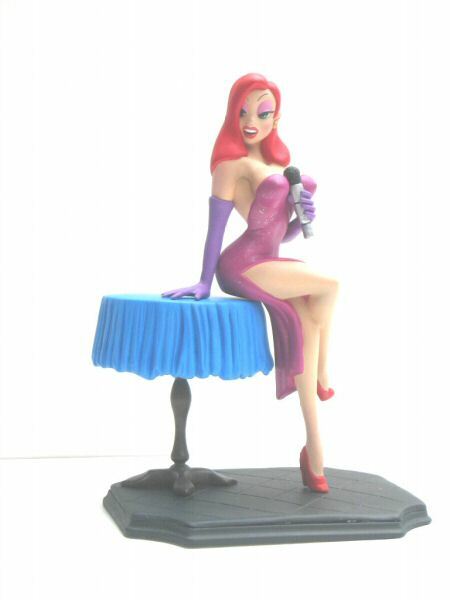 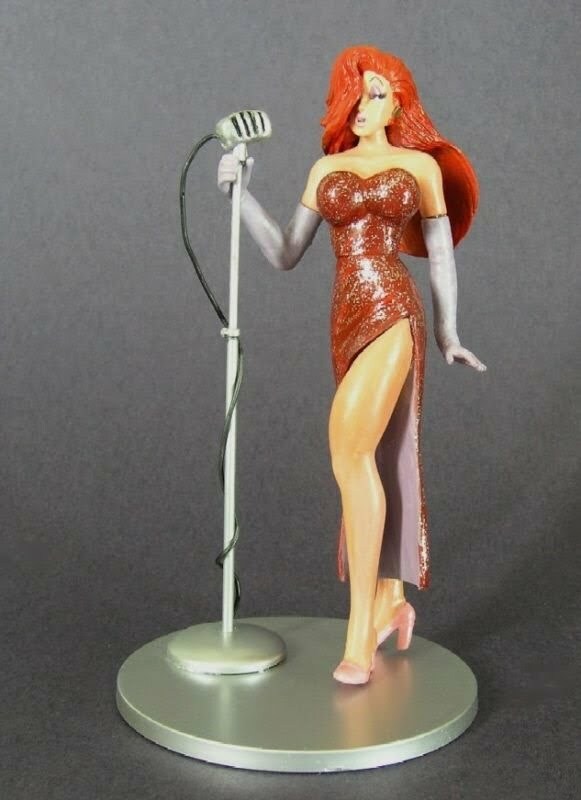 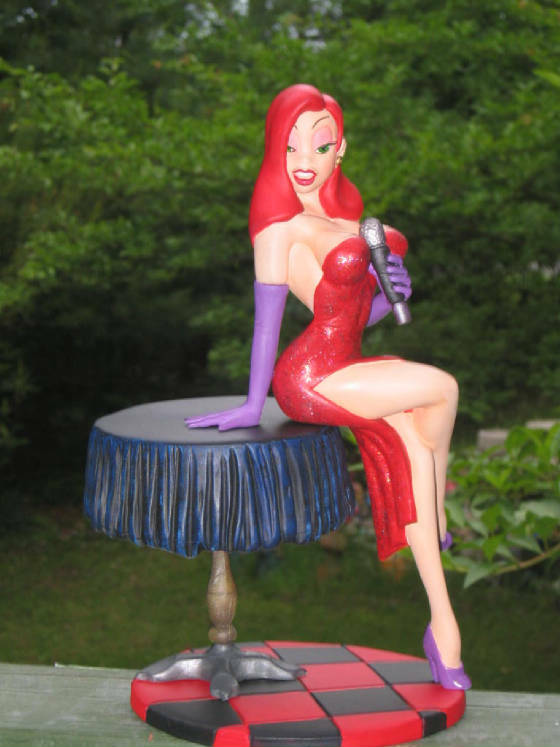 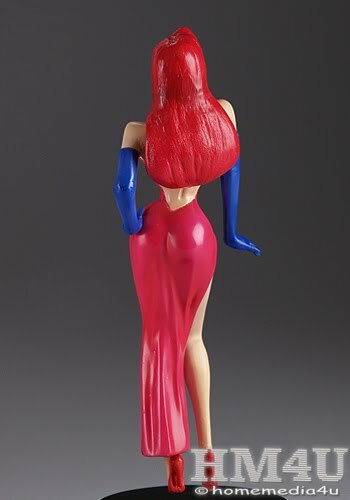 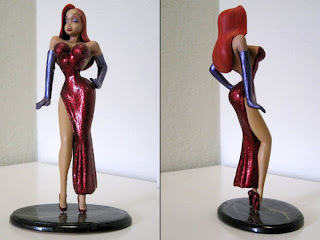 There is a varying selection of Jessica Rabbit statues made available over the years, but there have not been very many dolls or action figures. 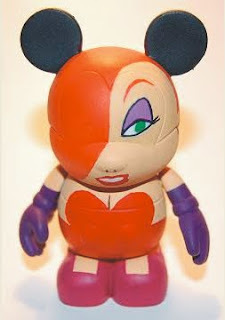 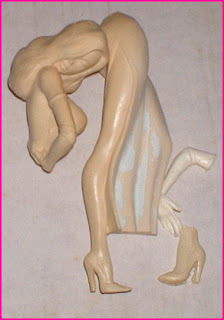 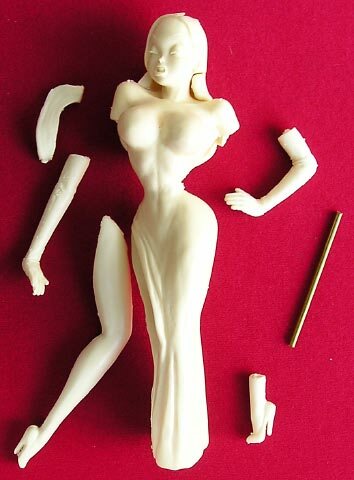 The closest we got to that with Jessica is the Flexies figure from 1988 - and that was more of a fully bendable toy. Here is a wide photo assortment of Jessica Rabbit custom figures, dolls and statues I have collected over many years, from various websites. 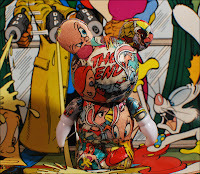 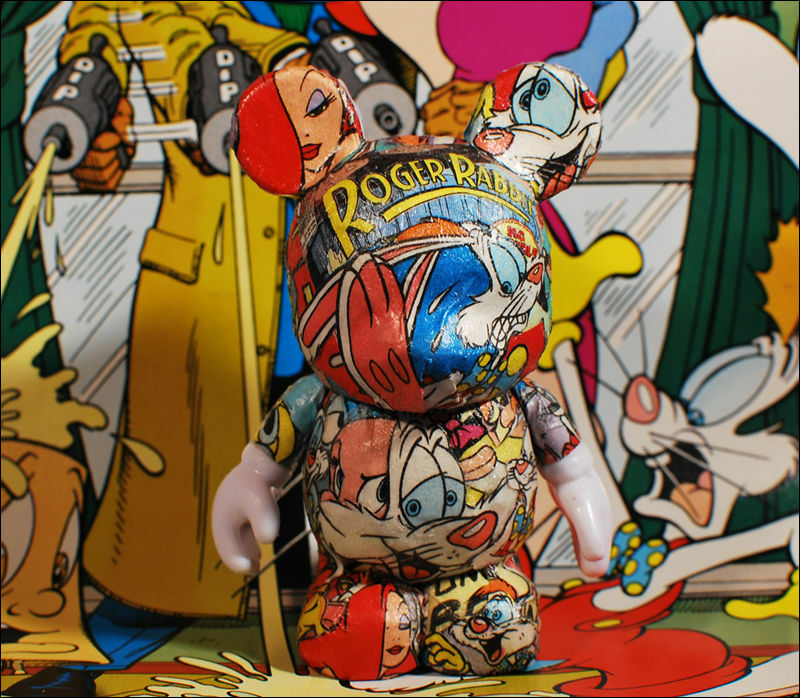 Check out some of the amazing work and ideas people have come up with for our favorite toon! 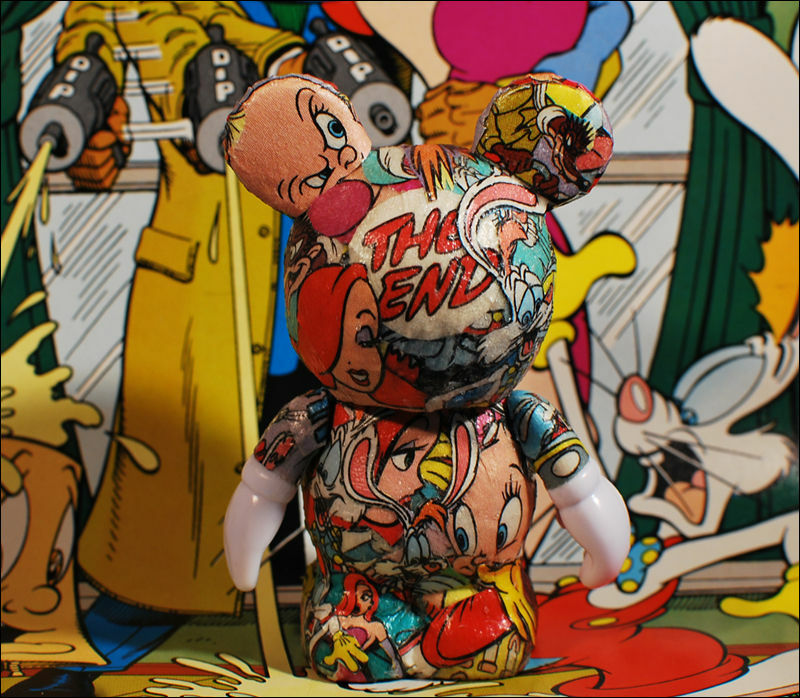 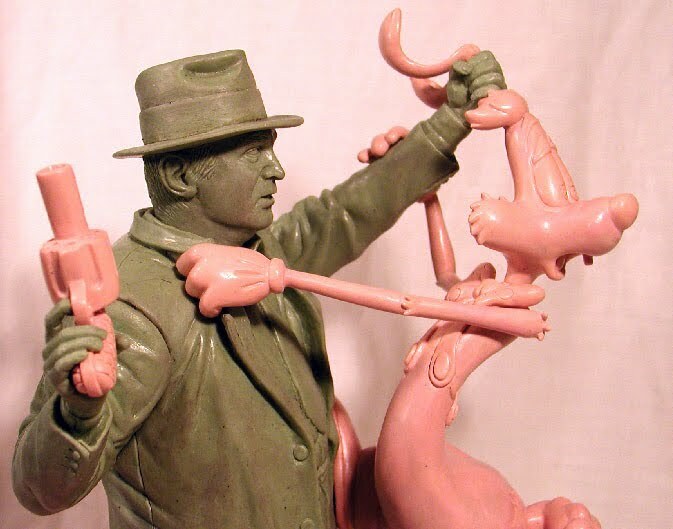 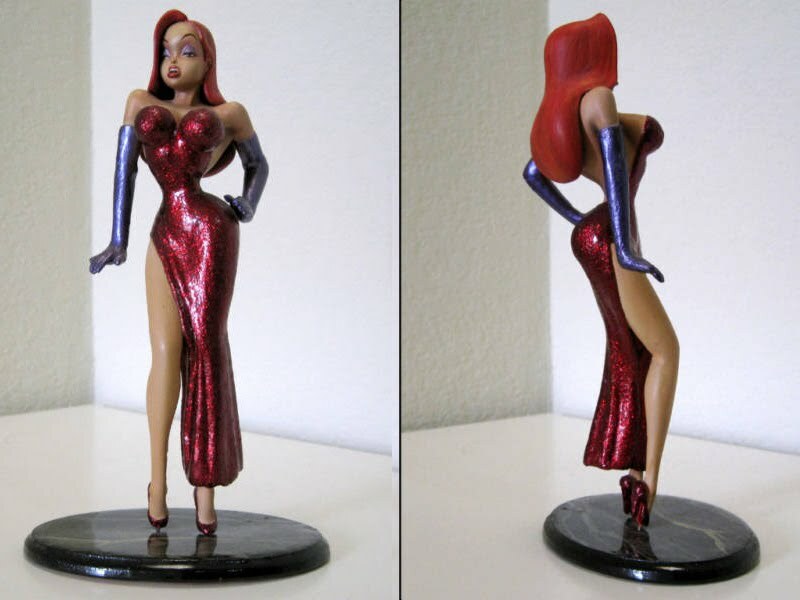 These Jessica Rabbit and Roger & Eddie figures were made by an actual action figure artist. They were fan art but almost look like prototypes for the real thing. 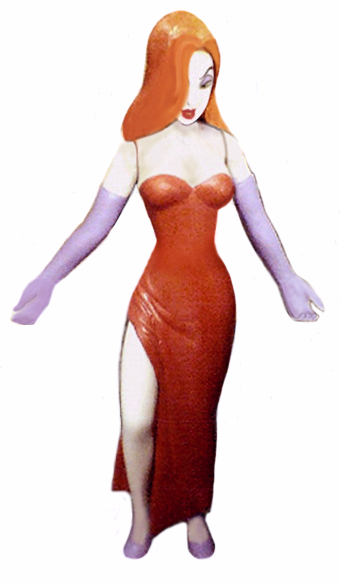 We could only have wished. 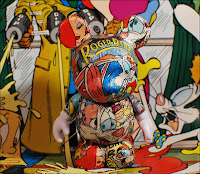 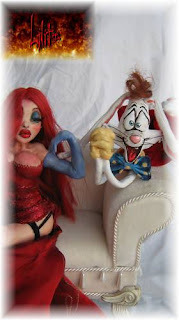 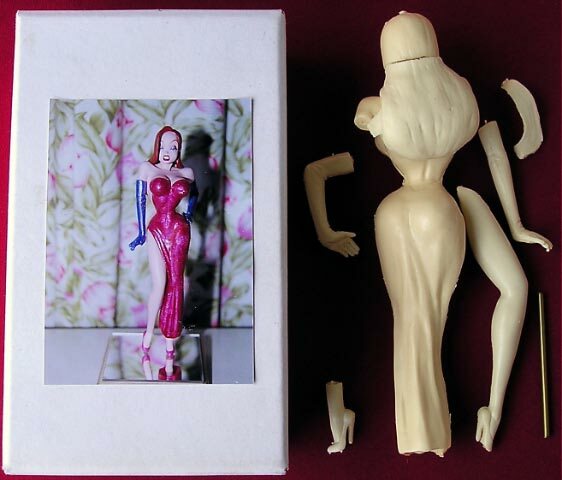 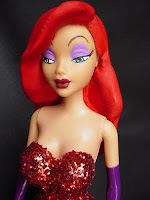 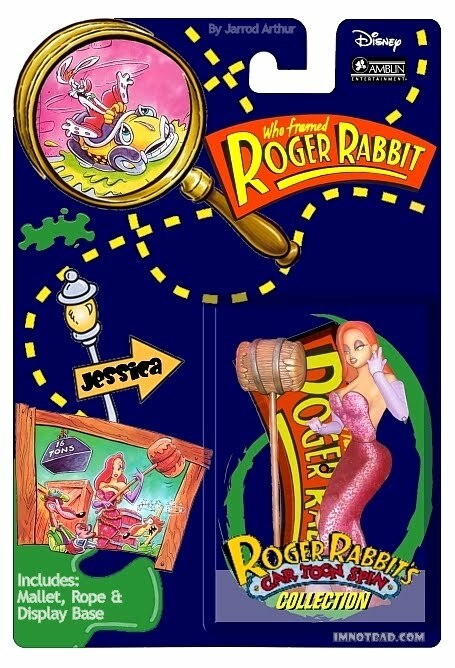 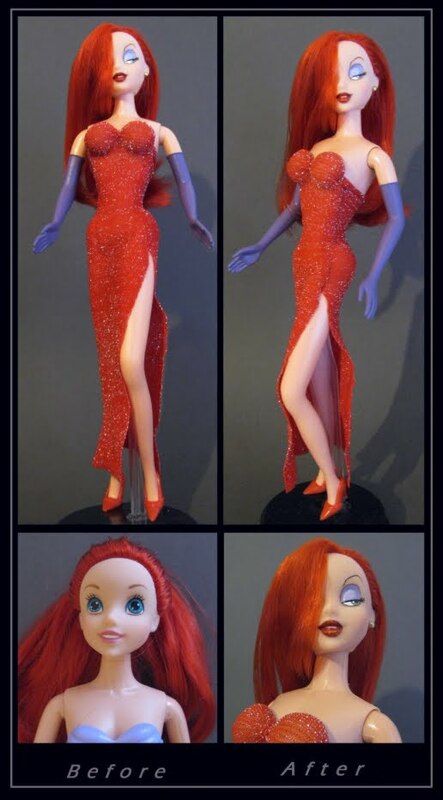 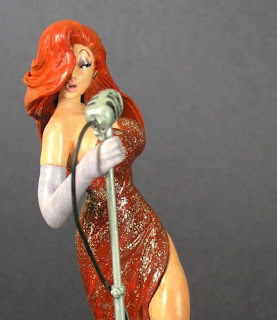 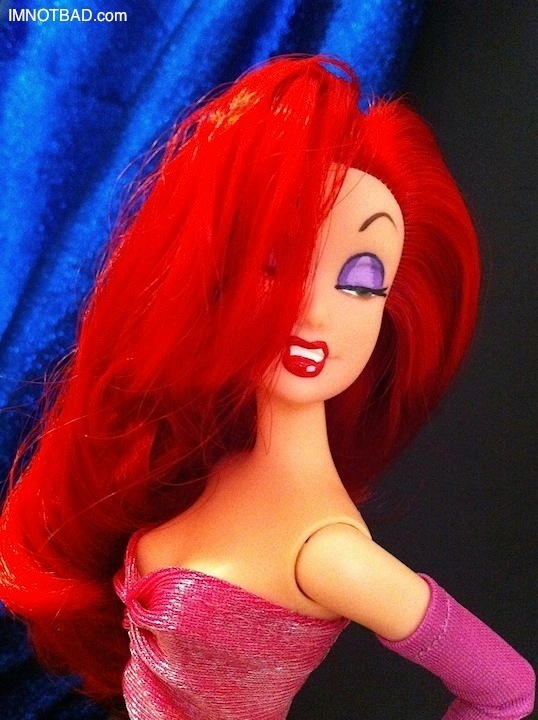 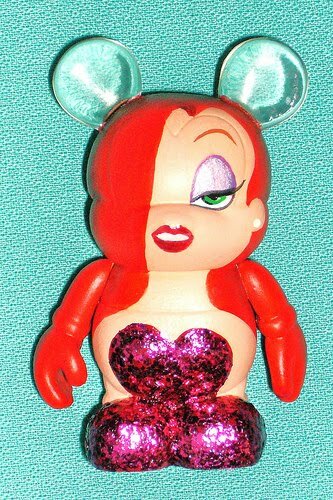 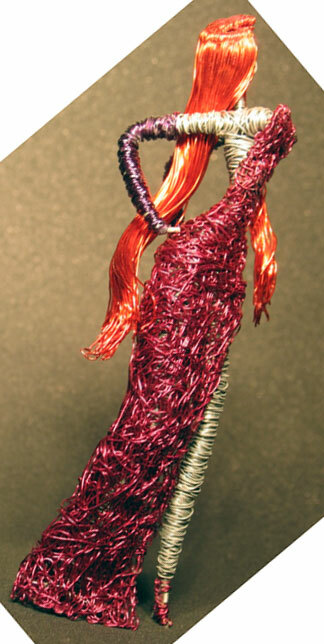 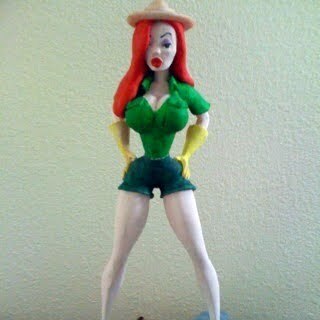 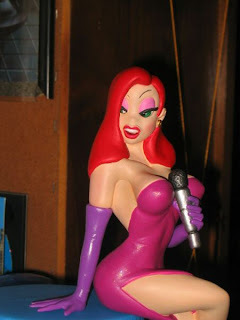 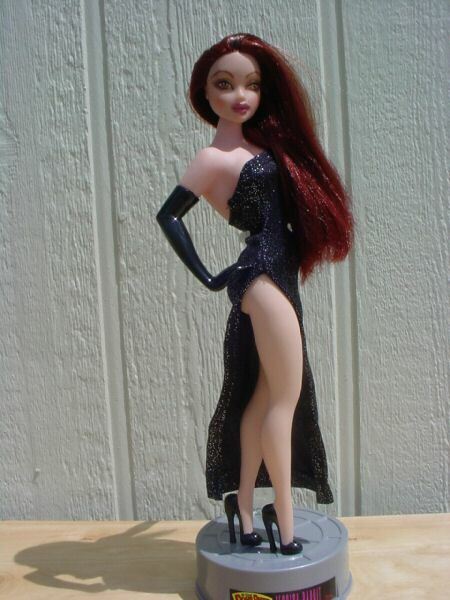 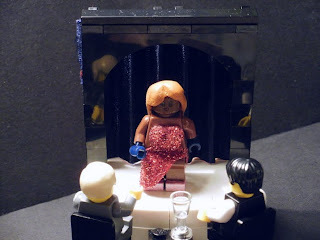 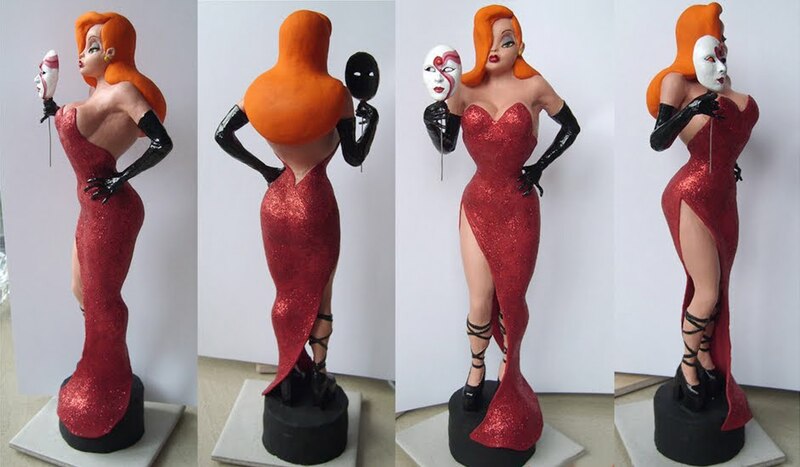 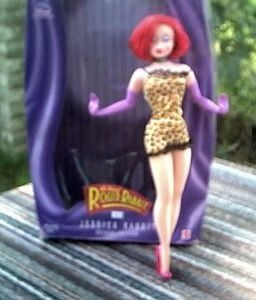 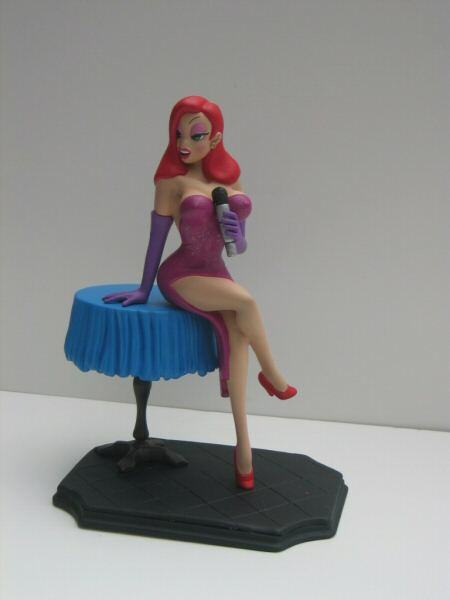 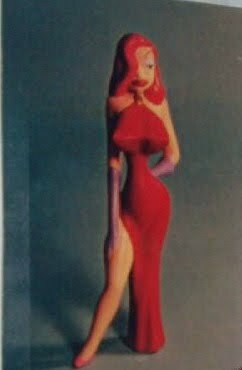 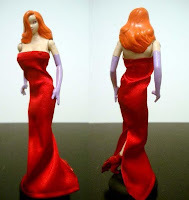 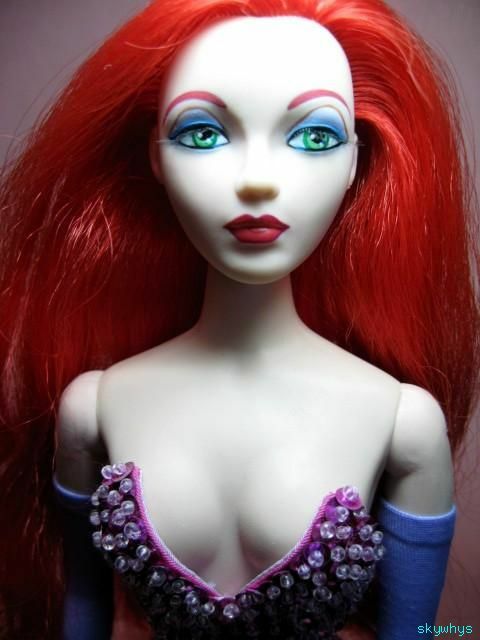 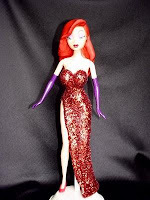 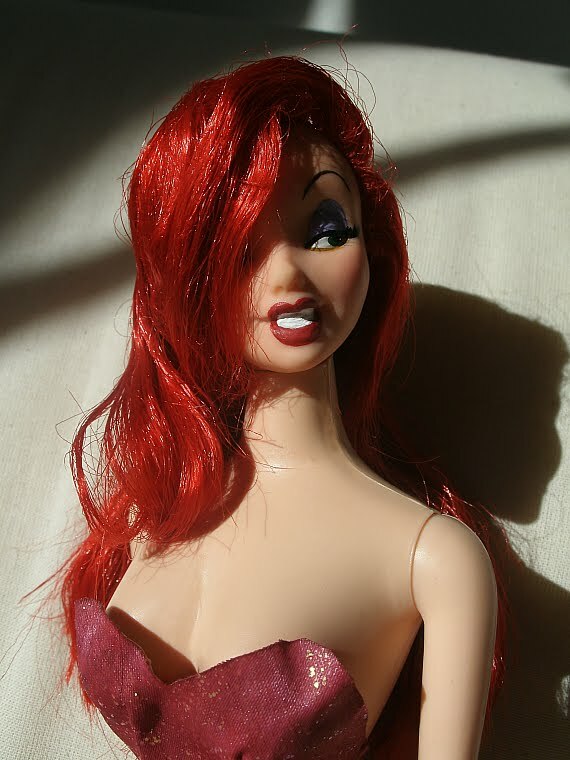 The photos below are from around the web, showing different ideas for a Jessica Rabbit action figure. 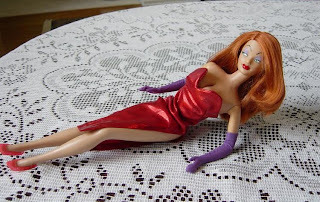 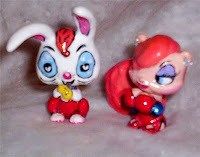 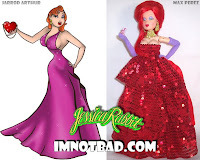 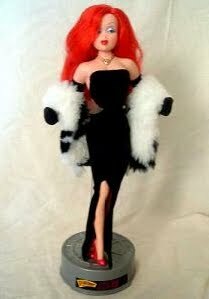 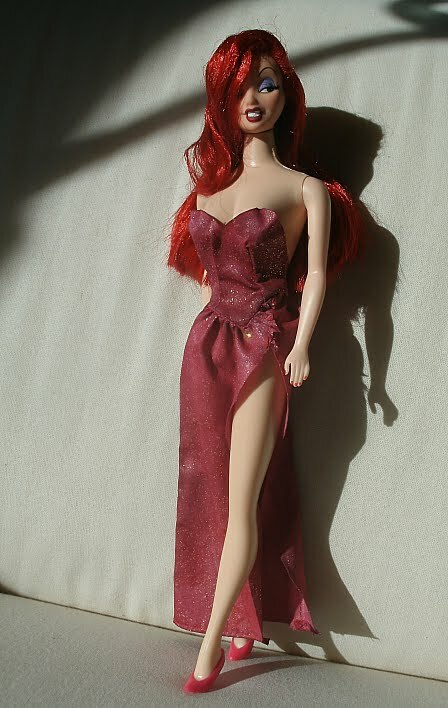 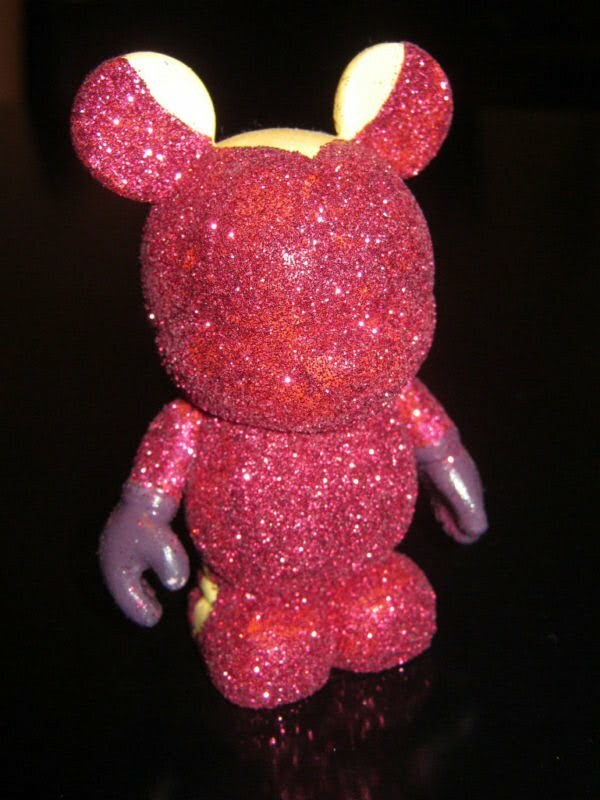 Here are some custom Jessica Rabbit dolls and different dresses. 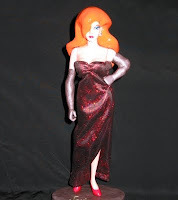 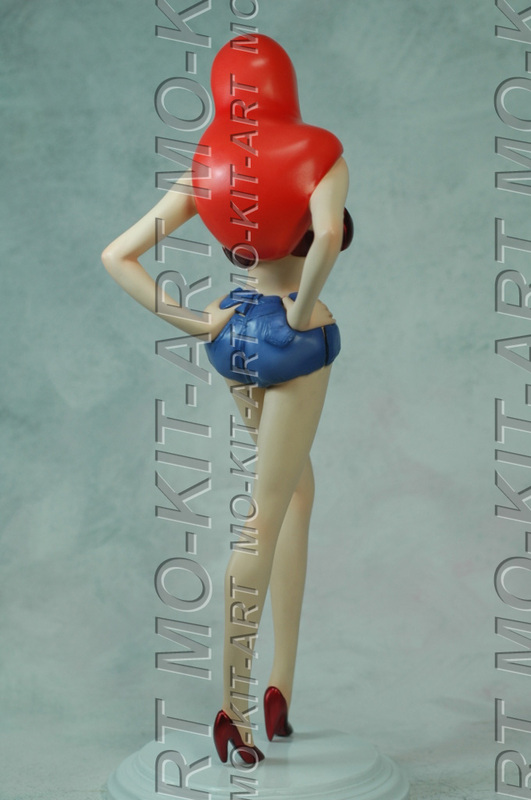 Jessica Rabbit custom model kits. 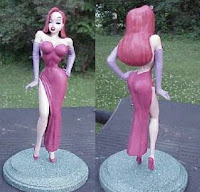 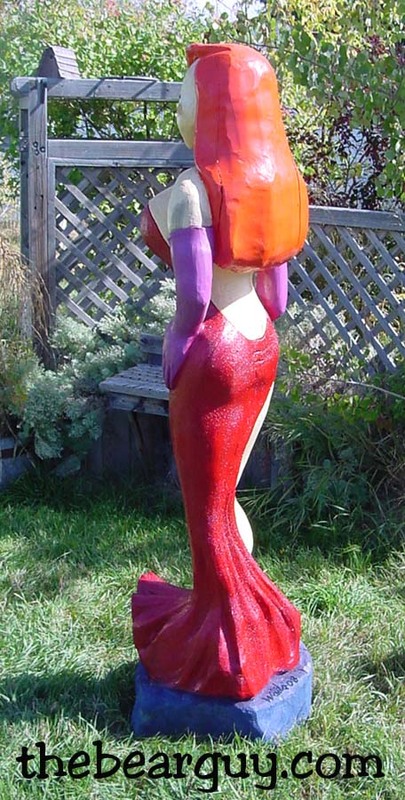 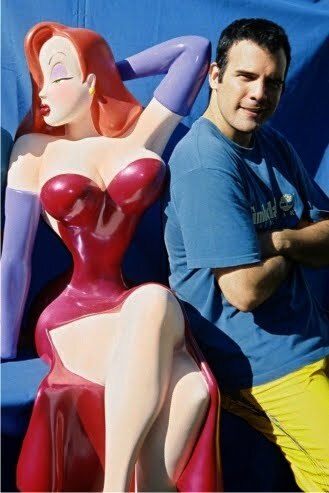 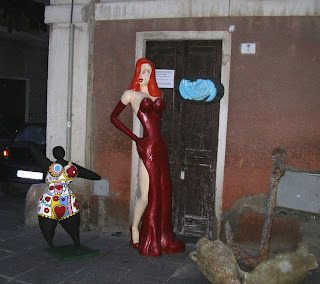 Jessica Rabbit Life Size Statues. 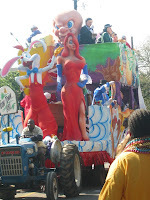 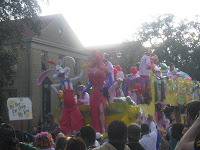 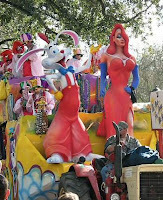 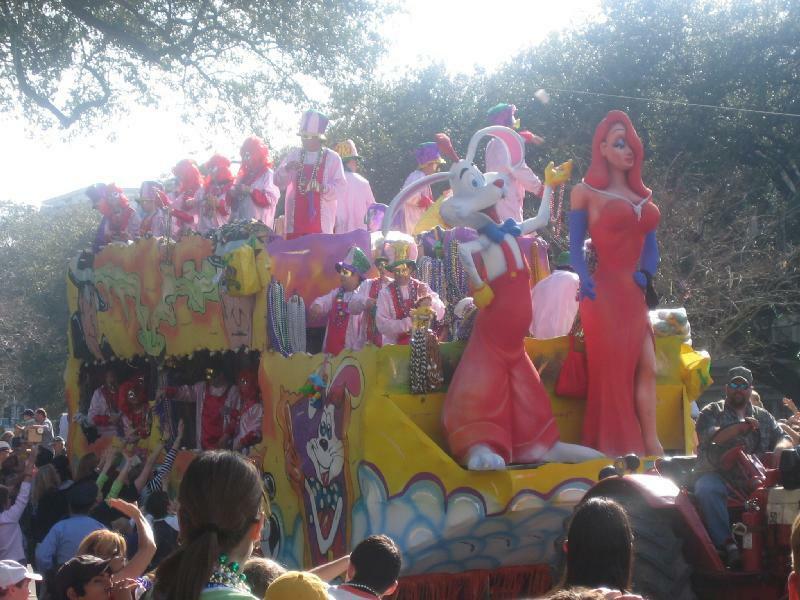 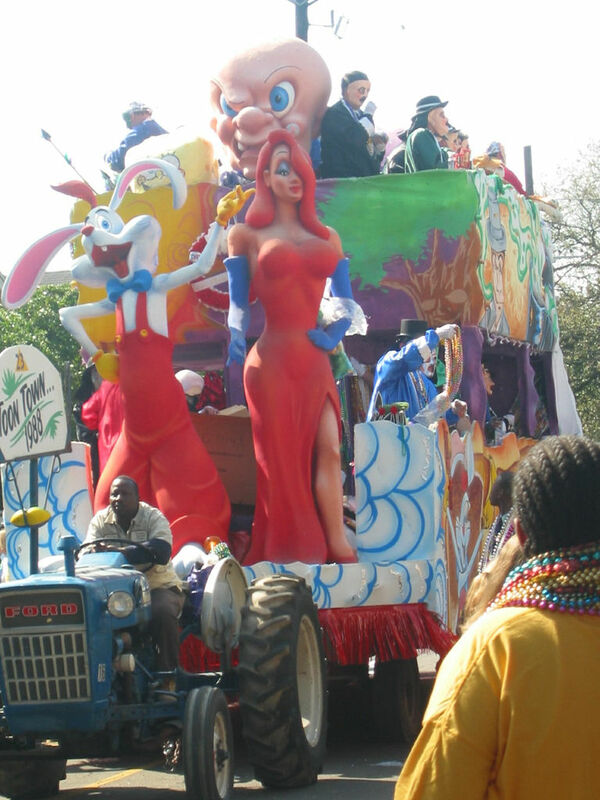 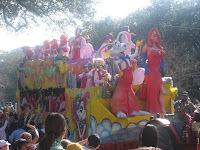 Jessica Rabbit Mardi Gras Float.